Brown Brown: Canada Day, Eh! 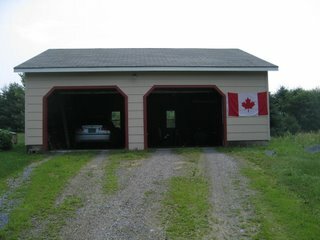 Jen tacked a Canadian flag to the garage to observe Canada Day, which is celebrated by proud Canadians everywhere on July 1st every year. 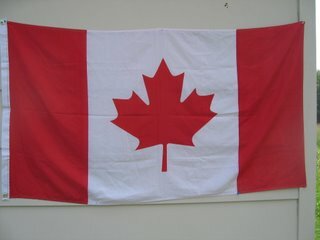 Yes, I'm Canadian too! Didn't ya notice from my accent?? I'm a melting pot within myself. I've got the Malaysian, Indian, Canadian, and American thing going.